Our October 2018 fly of the month, the Bluegill Belly Bean, comes from FWFF club member Mark Kolanowski. For the full instructions, click here. 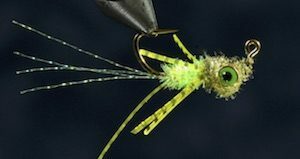 Past flies are available only to members. For access to those, past newsletters and much more, please join Fort Worth Fly Fishers by clicking the “Become a Member” button at the top right.